MOTORISTS are being warned they face delays on M27 this morning following a crash. The accident happened on the eastbound carriageway and involved two cars, according to Highways England. One lane is currently blocked between Junction 8 Windhover, and Junction 9 Parkgate. Highways England tweeted: ‘#J8 #Windhover to J9 #Parkgate #M27 Lane 1 is blocked due to a 2 car accident. 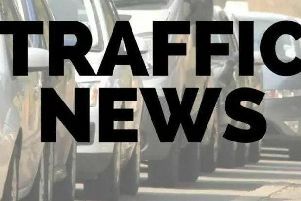 Motorists are warned there could be delays on the motorway as a result of the accident and the lane being blocked this morning.